There are enough problems to deal with on a daily basis when it comes to your hair. Is it too greasy? Is it too dry? Too flat? Too voluminous? Too curly? Too straight? Then, of course, there’s always the dreaded dandruff. It’s hard to miss the small, white flakes that linger on your scalp. But while the condition is very common, it also can be hard to treat. For more solutions straight in your inbox, sign up for our Everyday Solutions newsletter here. Dandruff is a common condition that affects the scalp. It causes the skin of the scalp to become itchy followed by flakes of dead skin. It typically starts around puberty and starts to subside around the age of 50, according to the Journal of Clinical and Investigative Dermatology. The severity of dandruff can differ from case to case. Some cases are less aggressive and are easy to treat while others might require a medicated approach to treatment. Your skin continually replaces itself and old cells are pushed outward where they die and flake off. Usually, these flakes are small and unnoticeable. In the case of those with dandruff, the skin cells can begin to replace more rapidly than the normal cycle. Therefore, the skin sheds in oily, larger clumps that can become visible. “The most common cause of dandruff is seborrheic dermatitis or sometimes called seborrhea,” said Julie Matsushima, a licensed medical esthetician. Dry skin, sensitivity to specific hair products and skin conditions, like eczema or psoriasis, can make you more susceptible to having dandruff. It is also believed that the common fungus malassezia can trigger dandruff. “Malassezia increases skin cell growth and these extra skin cells die and flake off,” Matsushima explained. Dandruff can also worsen when you’re stressed or sick. Cold, dry winters can also trigger dandruff or increase its severity. Diet plays its role, as deficiency in vitamin B or zinc can lead to dandruff as well, according to Matsushima. Believe it or not, hygiene can also influence your chances of dealing with dandruff. "The longer you go in between shampooing, the flakier your scalp can get," said Dr. Alan Parks, a board-certified dermatologist and founder of DermWarehouse. So if you're tempted to try the "no poo" movement, keep in mind that washing your hair less frequently can unintentionally cause the oils and skin cells on your scalp to collect, which can cause visible dandruff. Shampooing too often, on the other hand, can also dry out your scalp and lead to dandruff, Parks said, so it's all about finding that balance that keeps your hair and scalp moisturized and flake-free. Are there any risk factors to having dandruff? Though anyone can be susceptible to dandruff, it actually appears more frequently in males than females. It starts as early as puberty and can continue on into adulthood. Having an oily scalp and hair can also increase the chances of the condition. What are the signs of dandruff? One of the main signs of dandruff is an itchy scalp. This is typically the first sign and then visible flakes of dead skin will follow. Red and greasy patches can also appear as well as a tingly feeling on the skin. You may also feel dryness, tightness or irritation on your scalp as well. You can also experience dandruff in your eyebrows, chest hair, groin area and armpits. 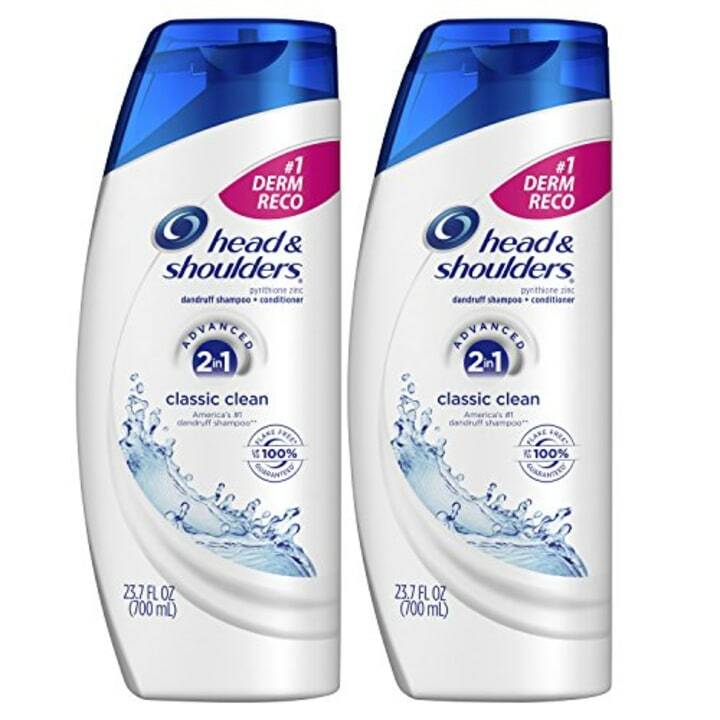 What are the best dandruff shampoos to get rid of it fast? Matsushima said that products with pyrithizone zinc are popular for treating dandruff because it contains anti-bacterial and anti-fungal properties. She also recommended coal-based shampoos (to slow down the growth of skin cells), selenium sulfide shampoos (to slow skin cell growth and reduce malassezia), and salicylic acid (to exfoliate the scalp). Since no one hair solution will immediately cure your dandruff, it's smart to switch things up every once in a while to keep your flakes at bay, according to Dr. Parks: "It’s good to rotate between different ingredients and not use the same all the time otherwise you’ll build up a tolerance to the ingredient." While you may need to experiment with different shampoos to find the perfect match, these are popular products to help with the milder cases of dandruff. Also available for $15 at Walmart. 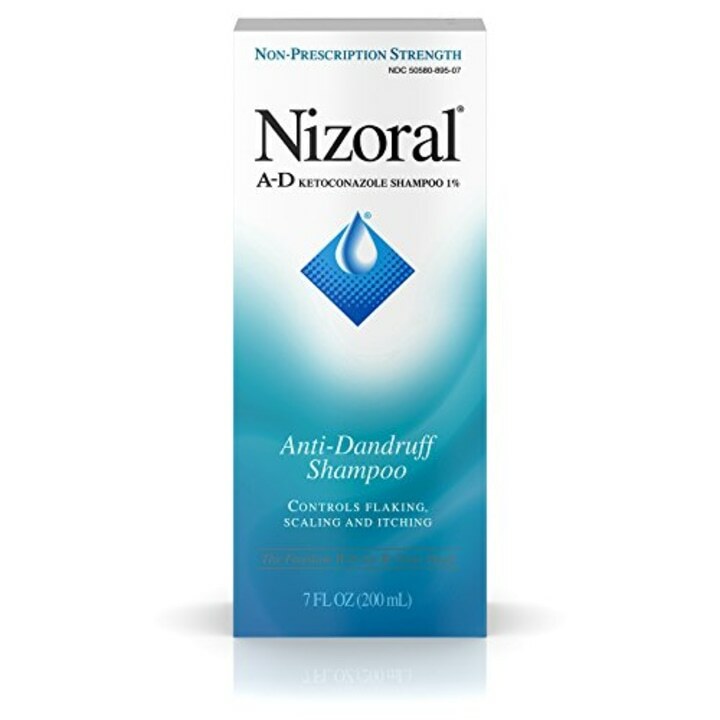 This shampoo controls flaking and itching associated with dandruff. Also available for $5 (for one) at Walmart. This shampoo-and-conditioner combo fights flaky skin and keeps the scalp and roots conditioned. 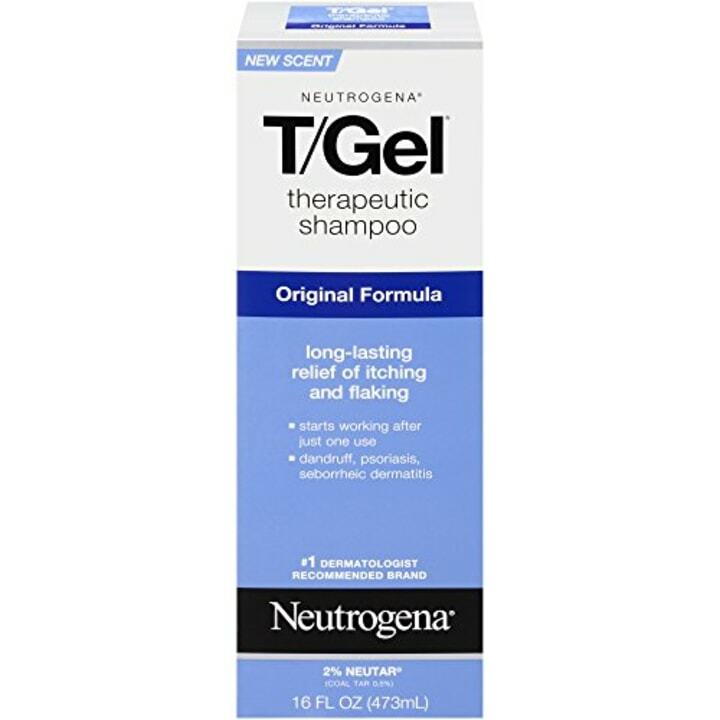 This shampoo contains coal tar and helps control an itchy, flaky scalp. Also available for $21 at Dermstore. 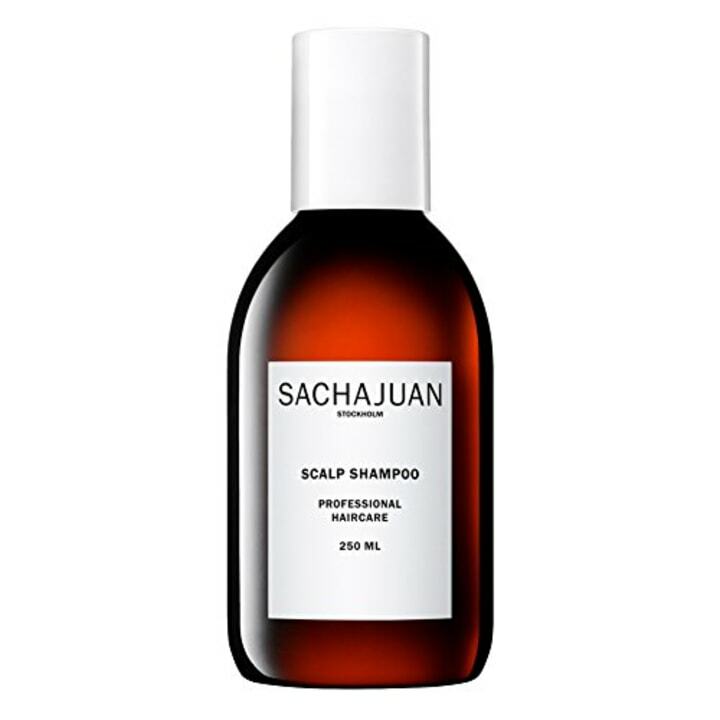 This shampoo cleanses and conditions the scalp and maintains the skin’s pH level to keep irritation at bay. Also available for $26 at Ulta. This shampoo purifies and exfoliates the scalp and provides anti-fungal and anti-bacterial properties that can help eliminate and prevent dandruff. This shampoo uses oleosomes to keep your hair moisturized while also eliminating itching and flaking. It’s also color and keratin safe! 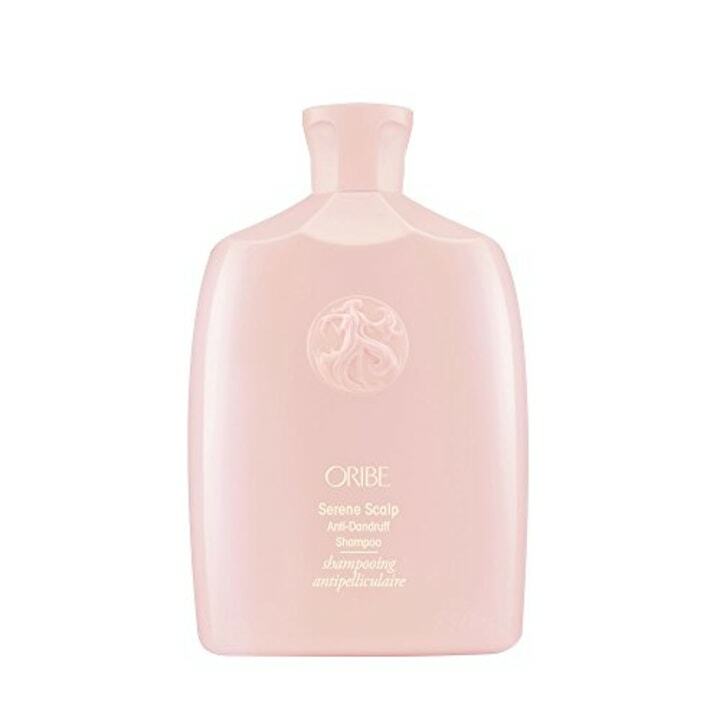 This shampoo removes dandruff while soothing an irritated scalp to ensure a healthy moisture balance. Also available for $19 at Ulta. This shampoo contains pyrithione zinc to cleanse your hair while also leaving it light and shiny. 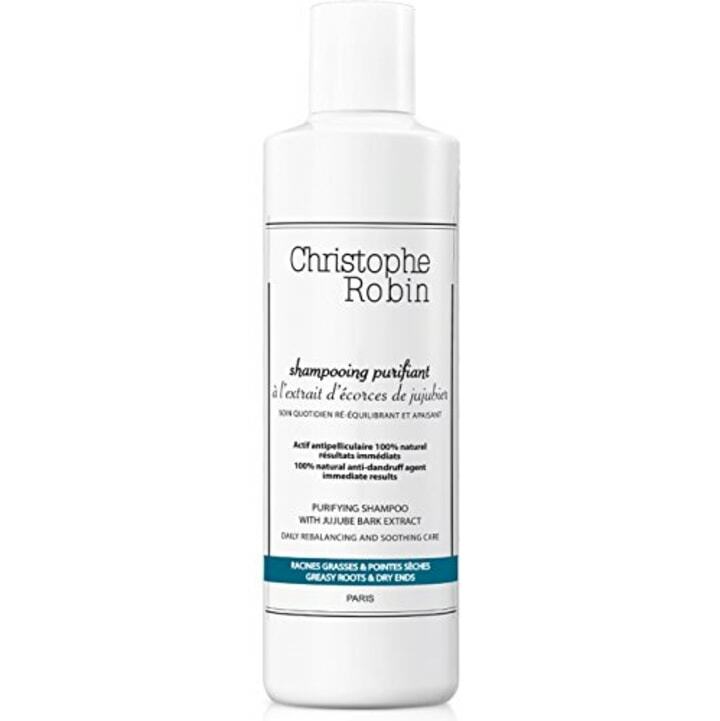 This shampoo is gentle yet contains salicylic acid to prevent dandruff and soothe a dry, itchy scalp. 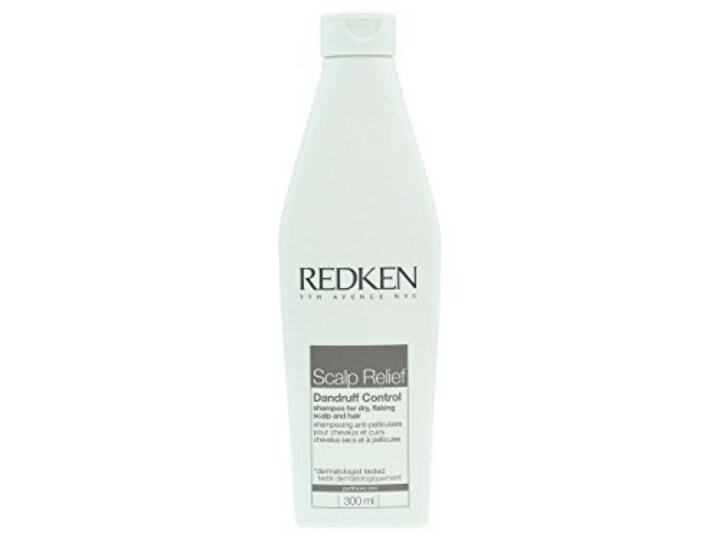 This shampoo works on coarse or fine hair and helps relieve the scalp of flaking and build-up. Also available for $38 at Sephora. This is a purifying shampoo that eliminates dandruff, regulates excess sebum to avoid oily roots and also soothes itchiness. What are the best home remedies for dandruff? There are also a few things you can do yourself if the specialty shampoos just aren’t cutting it. Matsushima noted that if you try home remedies for two weeks or more without seeing any changes, you should seek professional medical advice. Shampoo more often. This can help reduce the oils on your scalp. Use green tea. Combine green tea, peppermint essential oil and white vinegar and massage it on your scalp for five minutes. Then, rinse it off with a sulfate-free shampoo and conditioner. Green tea and peppermint essential oil have antioxidants and anti-microbial properties which can promote a healthy scalp and also condition your hair so it is not as dry or irritated. Use apple cider vinegar. Dilute the vinegar with equal parts of water. Use this mixture as a substitute for your shampoo. Apple cider vinegar can kill the fungus that may cause dandruff. It provides relief from itchiness and can help subside the dandruff. Have a coconut oil massage: Combine five to 10 drops of tea tree oil with 5 tablespoons of coconut oil. Apply the mixture to your scalp at night and then rinse it off in the morning or if you’re pressed for time, just leave it on for 30 minutes and then rinse it off. Coconut oil also fights against fungi, which can help eliminate the dandruff. Tea tree oil will help bring the shine back to your hair. Use lemon juice. Massage 2 tablespoons of lemon juice onto your scalp and let it sit for a minute. Then, mix 1 teaspoon of lemon juice and 1 cup of water. Rinse your hair with the mixture. Repeat this right before your daily shower for the best results. Fresh lemon juice contains acids that help break down the fungus that can cause dandruff. It also does not have harsh chemicals in it, which could harm your scalp. Use baking soda. Wet your hair and sprinkle 1 tablespoon of baking soda along your scalp. Leave it on for a minute and wash it off. You can also shampoo after to thoroughly rinse it off. Baking soda fights against overactive fungi and can help exfoliate the skin on your scalp without irritating it. Baking soda also soaks up excess oil. Does your hair need a facial? Head to the Head Spa!